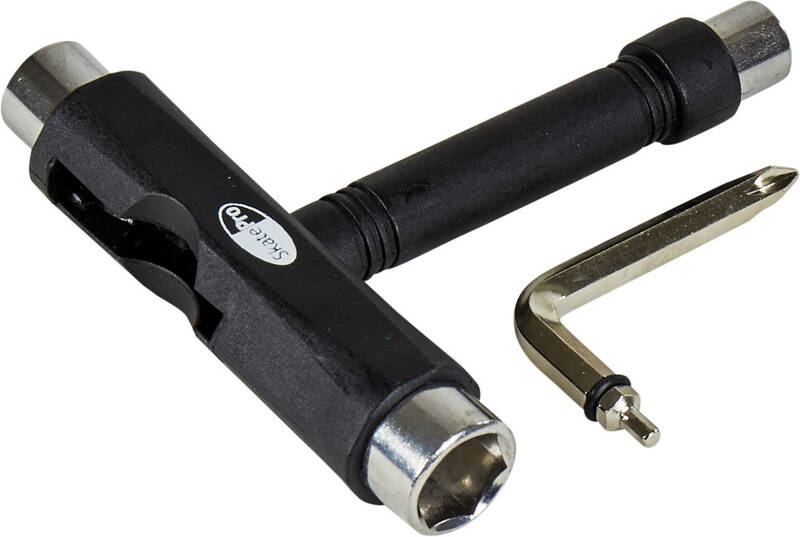 We bring you the classic skate tool with all you need to keep your setup tight. Black tool with a Skatepro logo on the top. Quick delivery and apparently what I ordered but since the tool was part of a Christmas present for my grandaughter I can only say that she seems very happy with it. Unable to loosen nut for roller skate bushes, no suitable socket size available on tool. Was expecting it to have the right sizes for the bushes, wheels and toe pick at the very least. This is a useful tool, however, I find the inner screw driver keeps falling out. No matter, I just keep them in the skate bag separately. The socket sizes are perfect for my quad skates (SFR Street 86). Strong, durable and very useful for all sports! Neat and compact tool perfect to maintain your board at a very good price and quality. Very useful and good value for price.